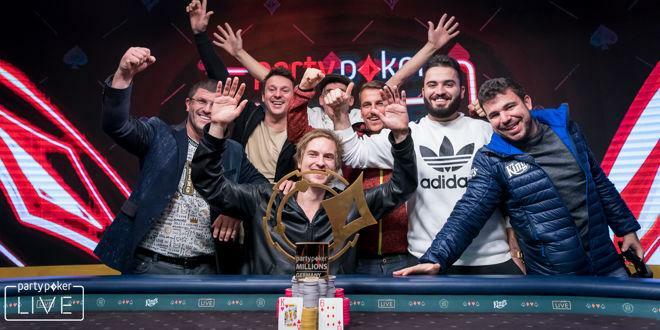 Two Swedish poker pros, Viktor ‘Isildur1' Blom and Niklas ‘Lena900' Astedt, have each earned a SCOOP title just this weekend. This makes the 4th win overall for Blom, and the 2nd one in less than a week for Astedt. 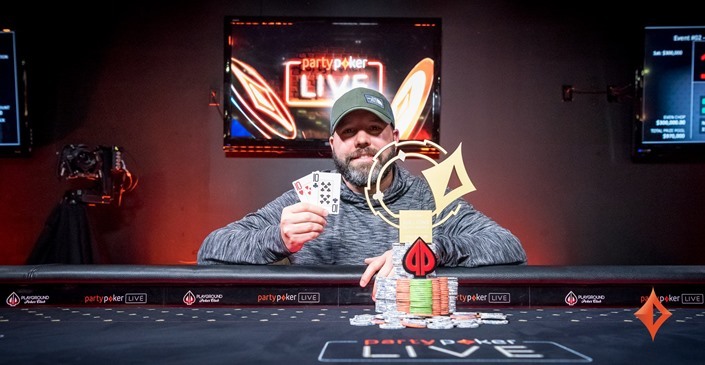 On Saturday April 21, the partypoker MILLIONS North America $10,300 Buy-in High Roller event commenced at the Playground Poker Club in Montreal, Canada, and it was David Eldridge who came out on top of the lineup and claimed the first event, winning $300,000 (CAD) and the title. Posted on Monday, February 19, 2018 by "T". After several days of intensive play, the last remaining 13 players from a field of 1,022 entries returned to the King's Casino in Rozvadov on Sunday to play the final day of the partypoker Millions Germany Main Event. 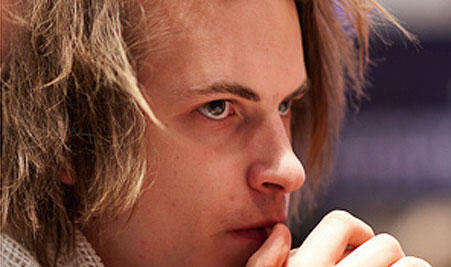 Read more » partypoker Millions Main Event: Viktor Blom currently in 4th place! Posted on Monday, January 08, 2018 by "T". A sweet 2017 year-end victory has landed on the lap of Viktor ‘Isildur1' Blom, as he won yet another tournament for $63K on PokerStars on Thursday, December 28. Swedish high-stakes poker pro Viktor Blom aka Isildur1 has successfully managed to win almost $287K from the first seven days of August 2016. It was three times that Isildur1's name topped the daily leaderboard charts with five-figure wins, and he was among the top 7 players daily this August to end the week with a total of $286,704 in winnings. Posted on Thursday, February 25, 2016 by "T". After years of complaining about the politics surrounding Poker Hall of Fame, twoplustwo podcast host Adam Schwartz decided in august last year to create his very own Internet Poker's Wall of Fame. Posted on Wednesday, May 27, 2015 by "T". From 14:00 to 00:00 CET today (Wednesday May 27, 2015) you can play against Viktor "Isildur1" Blom at Unibet's cash game tables! The Swedish high-stakes legend will be making a unique appearance that gives Unibet players, with large enough bankrolls, the chance to put their poker skills to the test. Blom will sit down at four cash game tables (NL50-NL400 and PL50-PL400) and will move tables every hour or so. All action will be streamed on www.twitch.tv/unibetpoker and he will also be answering questions during play. The 2015 edition of PokerStars' Spring Championship of Online Poker (SCOOP) ended on Sunday with three Main Events in Low, Medium and High buy-ins. Despite the latter having a buy-in of $10,300, 694 entries were made and generated a prize pool of $6,940,000 (the orginal guarantee was $4 million)! Posted on Wednesday, May 20, 2015 by "T". On Wednesday 27th May 11:00 - 23:00 BST, you have the chance to play against Viktor "Isildur1" Blom at Unibet's cash game tables! The Swedish high-stakes legend will be making a unique appearance that gives Unibet players, with large enough bankrolls, the chance to put their poker skills to the test. Blom will sit down at four cash game tables (NL50-NL400 and PL50-PL400) and will move tables every hour or so. All action will be streamed on www.twitch.tv/unibetpoker and Blom will also be answering questions during play. Viktor "Isildur1" Blom has not created any headlines for quite some time now. The main reasons are that he's not been running that good nor lost any major sums (well, compared to what many of us are used to hear about). Posted on Thursday, October 23, 2014 by "T". 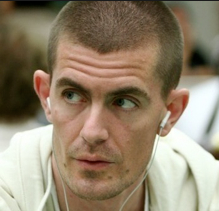 In December 2013, Full Tilt Poker announced that Tom "durrr" Dwan was no longer a part of its The Professionals. A few days ago, many poker fans over the globe noticed that Viktor Blom and Gus Hansen's pictures had been removed from Full Tilt Poker's website and poker client - which started some speculations on whether they also had been removed from the The Professionals. Posted on Friday, October 10, 2014 by "T". Last Sunday, as a part of the Sit & Go Trio promotion, 18 Full Tilt qualifiers got to play heads-up against Viktor "Isildur1" Blom for $5,000. The "lucky" players only needed to enter three Sit & Go's to earn a ticket to a special freeroll where the first prize was to play against the feared Swede. Posted on Wednesday, September 17, 2014 by "T". 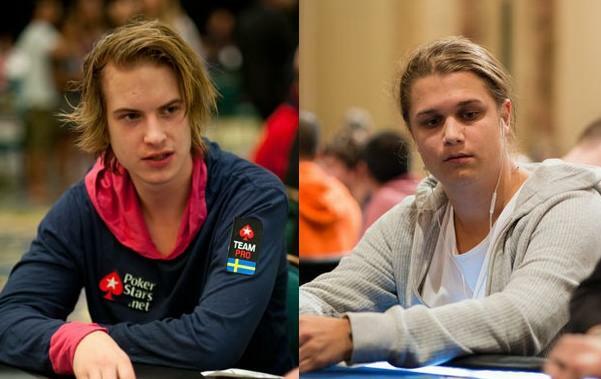 As a part of the promotion HEADS UP SHOWDOWN, Full Tilt Poker pros Viktor "Isildur1" Blom and Gus Hansen were supposed to play against each other on Sunday, September 14. Many had looked forward to the battle ever since Full Tilt Poker announced the challenge last month, but, unfortunately, many were left disappointed as Gus Hansen never showed up. 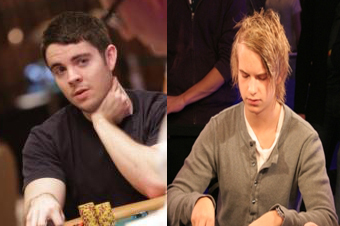 Viktor "Isildur1" Blom and Gus Hansen will face each other in a best-of-three battle for $50,000 on Sunday, September 14th. The two Full Tilt Poker pros will play Stud 8 (Gus's choice), No Limit 2-7 Triple Draw (Blom's choice), and a third game chosen by the public (voting ends on September 2nd). Posted on Thursday, May 01, 2014 by "T". Day 1 of the 2014 PokerStars and Monte-Carlo Casino EPT Grand Final High Roller attracted 158 players (37 more than last year) and 47 of them used their option to reenter the tournament, which brought the total to 205 entries so far (registration is open until the start of Day 2). However, no matter how many more players enter today, this High Roller is already the largest one to date on European ground. According to PokerStars Blog, 104 players survived the first day with Germany's Benny Spindler bagging up the largest stack (384,300). Spindler will be joined today by the likes of Viktor Blom (26k), Steve O'Dwyer (47k), Jason Mercier (47k), Daniel Negreanu (110k) and a whole bunch of other superstars in the poker world. We will be back with another update tomorrow morning! Stay tuned! Posted on Tuesday, April 29, 2014 by "T". Another day is in the books at the 2014 PokerStars and Monte-Carlo® Casino European Poker Tour Grand Final Main Event. After six 75-minute levels of play in Day 2, Russia's Vladimir Troyanovskiy bagged up the largest stack (450,500) amongst the 123 remaining players. Troyanovskiy is a regular in the Super High Roller and High Roller tournaments on the European Poker Tour and, believe it or not, he played final tables in both of them at the 2013 PokerStars Caribbean Adventure. 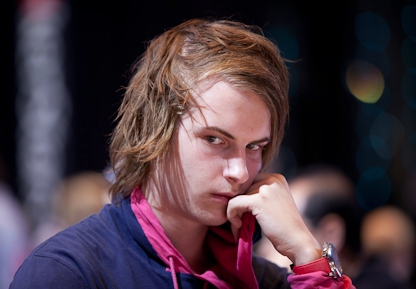 High Stakes: Viktor Blom Up Over $2.1 Million This Year! Posted on Wednesday, February 05, 2014 by "T". 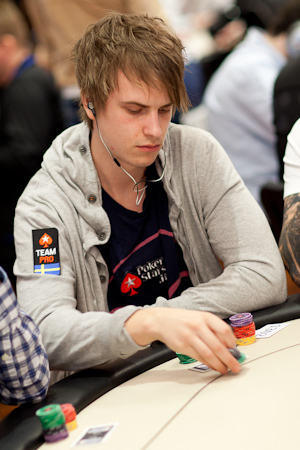 Everyone's favourite Swede Viktor "Isildur1" Blom has had a massive upswing in the last couple of weeks. According to online-tracking site highstakesdb, over a $1 from his winnings come from heads-up matches (between January 14-17) against PokstflopAction. Blom is the biggest winner online this year with a total profit of $2,154,113 (48,517 hands)! In 2013, he was up over 5 million dollars during 3 incredible winning streaks. It will be interesting to see if he can beat that "record" this year - without losing most of it (he "only" bagged up a $542k profit in 2013 after a massive downswing that started in October). Posted on Thursday, January 23, 2014 by "T". 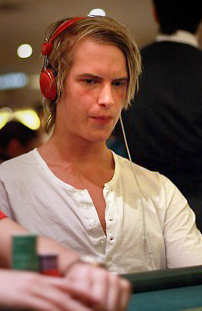 The Swedish Full Tilt Poker Professional Viktor "Isildur1" Blom is on an incredible winning streak at the moment! After a pretty bad start to the new year, suffering approximately $600k in losses during the first 2 weeks, Blom has turned things around and is now up an incredible $1.7 million (43,879 hands)! Posted on Thursday, November 14, 2013 by "T". @FunkDrDoobz75: what's blom's current bank roll at & what does he spend all his money on besides poker? Viktor Blom: Nice dinners and going out with my friends. @shipit13: would you flip a coin for 1 million dollars if I gave you 2/1? @pretty7king: Does Viktor Blom use any poker software? VB: No software. Tried it once but didn't like it. WPT Alpha8: Philipp Gruissem Wins The £100,000 Buy-In Event in London! The second and final day of WPT Alpha8 (£100,000 buy-in) saw 11 players returning to their seats, and the number of participants increased to 12 after the late arrival of American businessman Bill Perkins who flew in from the U.S. to United Kingdom mainly for this event. 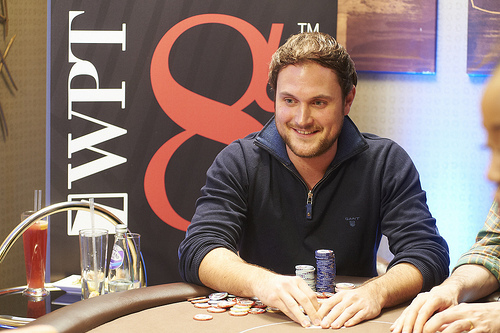 Read more » WPT Alpha8: Philipp Gruissem Wins The £100,000 Buy-In Event in London! Posted on Wednesday, October 23, 2013 by "M". 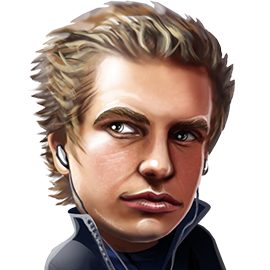 100 players will get the fantastic opportunity to battle a $1,000 heads-up against the legendary FTP Pro Viktor "Isildur1" Blom between Saturday 26th of October and Monday 4th of November. 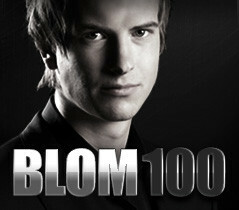 The qualification for the BLOM100 promotion starts this Friday, October 25th! From Friday, October 25th through Sunday, November 3rd, you can qualify for daily Blom100 Flip Freeroll tournaments. The Flip Freeroll tournaments will be played ten times every day (five Round 1 and five Round 2 Flip Freerolls) between October 26th through Monday, November 4th. Each of the outright winners of the daily Flip Freerolls will win entry to a heads-up freeroll against Viktor "Isildur1" Blom with a $1,000 prize pool! 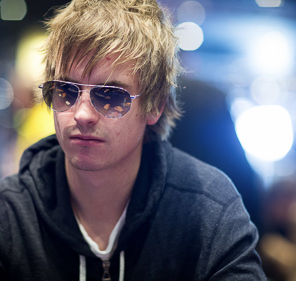 EPT London: Day 3 In The Books - Isildur1's Brother Among The Final 45 Players! Posted on Thursday, October 10, 2013 by "T". It took four levels of play for 106 players to become 45 players at the third day of the EPT London Main Event. None of the survivors were former main event winners or Team PokerStars Pros, but there are quite a few interesting names left in the mix - including Day 2 chip leader Tudor Purice (825k), EPT London Super High Roller finalist Timothy Adams (271k), poker legend David "Devilfish" Ulliot (250k) and Viktor Blom's big brother Sebastian Blom (216k). The remaining 45 players are guaranteed a minimum payday of £11,425 with the chance of going all the way to the title and laying hands on the first prize of £560,980! The current chip leader is Martin Kozlov with 1,351,000. Besides Kozlov, only another two players (Ludovic Geilich and David Yan) will bring over a million chips into Day 4. We will be back tomorrow morning with another brief update! Posted on Tuesday, October 08, 2013 by "M". It's been reported that Viktor "Isildur" Blom was the player that profited most of the cashgame highstake players last week. 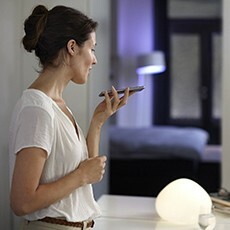 Blom made a profit of close to $2 million after a pretty long down swing. On the other side of the spectrum, Phil Ivey is topping the minus league of last week. Posted on Tuesday, September 10, 2013 by "T". 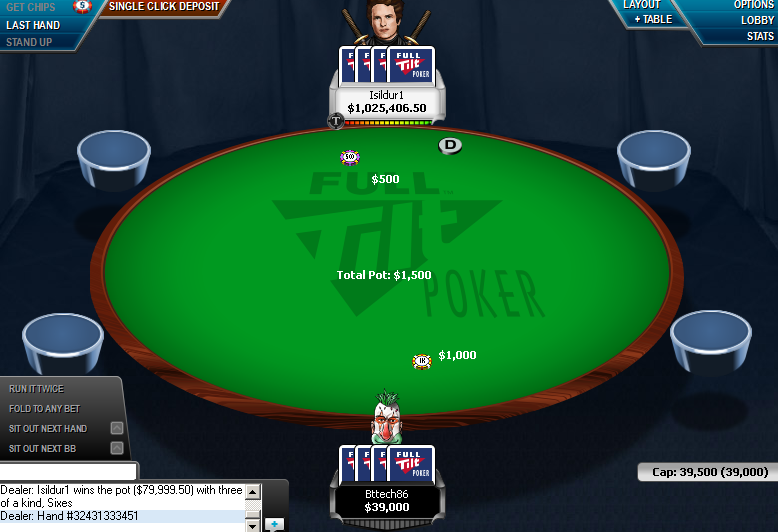 Viktor "isildur1" Blom has been on a terrible downswing in the past few days at Full Tilt Poker's nosebleed tables. The fact is that the young Swede has lost over 1.5 million dollars over the past five days and he's now ranked 8th with a $1.5 million profit on the list of 2013's biggest winners online. According to highstakesdb, "Sanlker" and Ike "luvtheWNBA" Haxton are two players who have enjoyed Blom's adversity. Sanlker, who's identity is unknown, defeated Blom in an 8-hour-long session on Saturday for $239.3k and Haxton took Blom for $287k in a two-hour session on Sunday. The latter consisted of several coin-flips (most won by Haxton) and some terrible bad beats for Blom. 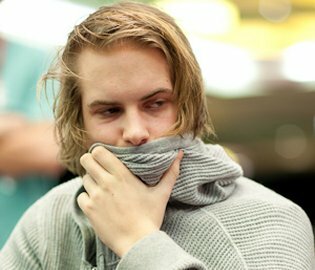 Viktor Blom Wins $1.5 Million - In Just 3 Days! Viktor "Isildur1" Blom is doing extremely well at the moment. According to highstakesdb, the young Swede has won $1,5 million in the past three days against SallyWoo, Kyle "PKR16" Ray, OMGClayAiker, Isaak Haxton, and other regulars at Full Tilt's nosebleed tables! The biggest chunk of the profit comes from SallWoo, who lost $716k to Blom in a few sessions of $500/$1000 CAP PLO yesterday. The winnings will come in handy for Blom who had lost over 2 million dollars in just one week before his incredible winning streak started. He's now up $3,095,932 (289,208) this year - about 200k less than the biggest winner online, "cottonseed1". Posted on Friday, August 02, 2013 by "T". According to highstakesdb, Viktor "Isildur1" Blom was up a six figure amount yesterday before he took on Alex "IreadYrSoul" Millar at Full Tilt Poker's $400/$800 NLH tables. The two played two tables for just about 45 minutes (approx. 200 hands) and Blom ended up losing $425k to Millar. High Stakes: "Isildur1" Wins $1.4m! Posted on Monday, July 29, 2013 by "T". After a couple of not-so-successful sessions in the past 1,5 week or so, Viktor "Isildur1" Blom was back on track yesterday and booked a massive profit at Full Tilt Poker's nosebleed tables. 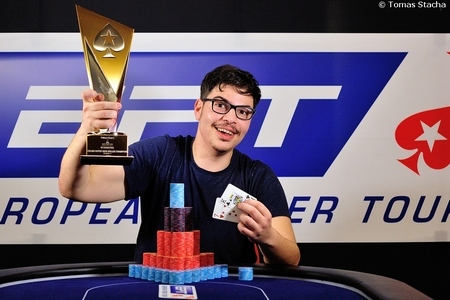 He started the day by taking $150k from Isaac Haxton at the $500/$1000 CAP NLHE tables, then he won about $500,000 (in about 4 hours) playing Triple Draw and FLO8 against Kyle "KPR16" Ray, Phil "Polarazing" Ivey, Gus Hansen and Patrik Antonius. 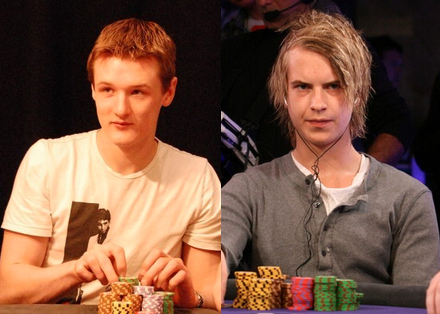 Read more » High Stakes: "Isildur1" Wins $1.4m! 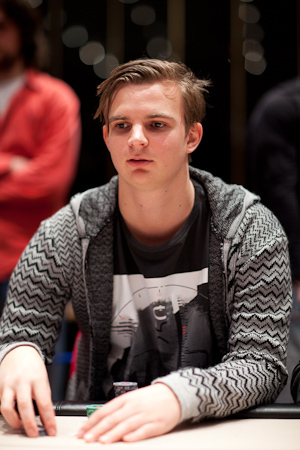 After a few days break from poker, Viktor "Isildur1" Blom was back at Full Tilt Poker's tables on Tuesday. 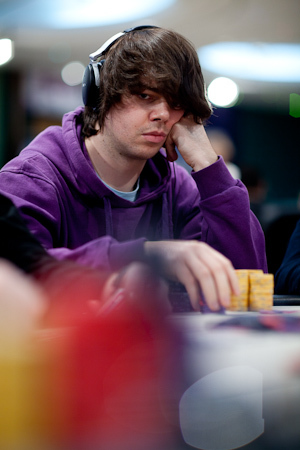 Blom, who had won over $2 million dollars in the first one and a half week of July and was the biggest winner of 2013, must have been full of confidence and energy when he took on Bttech86, Doug "WCGRider" Polk, Alex "IreadYrSoul" Millar and other regulars at the nosebleed tables. High Stakes: Blom Wins Half a Million Dollars! Posted on Friday, June 07, 2013 by "T". Read more » High Stakes: Blom Wins Half a Million Dollars! Posted on Tuesday, May 28, 2013 by "T". An incredible $75,585,305.05 has been won in the 132 tournaments of the 2013 Spring Championship Of Online Poker (PokerStars) in the past couple of weeks, making it the richest poker tournament series in history! A big chunk of the prize pool was awarded to Viktor "Isildur1" Blom who won $1,096,200 in the Main Event! 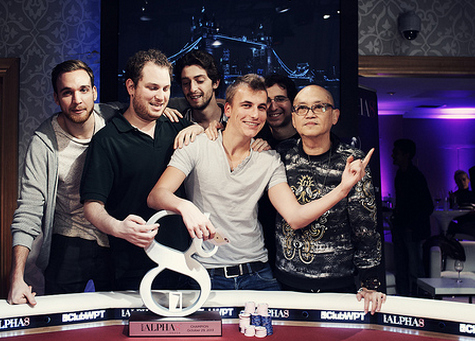 Read more » SCOOP 2013: Viktor Blom Wins The Main Event For $1 million! Posted on Tuesday, May 14, 2013 by "T". While most poker players think €100,000 is an awful lot of money, there are some who have the bankroll to use it for a single tournament. On Monday, the 2013 EPT Monaco Super High Roller (€100k buy-in) kicked off and saw, believe it or not, 48 entries. Phil Ivey was in for two bullets, but still he wasn't among the 29 players who survived the day. 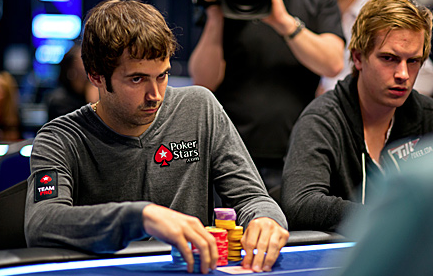 Jason Mercier had better "luck" than Mr. Ivey. 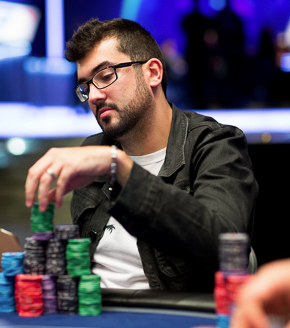 He bagged up 1,183,000 chips and has about 1 million more than his closest opponent - Sorel Mizzi. Here are few other big names who made it through Day 1: Viktor Blom, Sam Trickett, Erik Seidel, Faraz Jaka and Scott Seiver. There's €4,900,000 in the prize pool at the moment, but most probably it will pass the 5 million mark today as registration close at noon. It will be interesting to see if Phil Ivey makes another attempt! It has been an action-packed, thrilling and simply amazing weekend at Full Tilt Poker's nosebleed tables, and, as many times before, we can thank Viktor "Isildur1" Blom for that! Blom had won $700k in the early hours of Saturday when he and Ben "Bttech86" Tollerene played some heads up at the $500/$1000 CAP PLO tables! 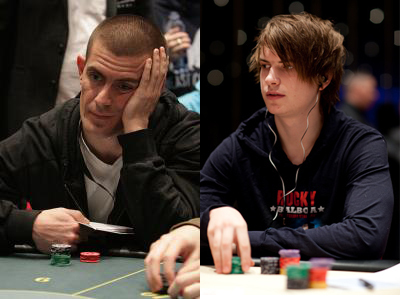 The two pros were later joined by Tom "durrrr" Dwan. 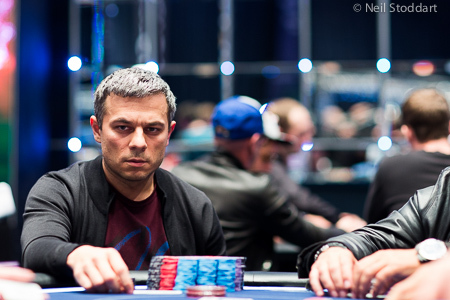 The second flight of EPT Monaco attracted a much greater field of players than Day 1A. In total, 423 players came to start and boosted the total number of entries to 531. There were many familiar faces at the poker tables including Viktor Blom, Patrik Antonius, Sam Trickett, Phil Ivey, Jason Mercier and Gus Hansen. After eight levels of play, the tournament director called it a day and approximately 200 players remained. Only Mercier (48,200) from the players mentioned above survived the day. Victor Sbrissa, who won LAPT Brazil in Sao Paolo a week ago, was in the lead with 224,800 chips, which is a quite impressive results from a single day. Another two notables who made it through the day with about 200k chips were Noah Schwartz and Calvin Anderson. Swingy Heads-Up Match Between "Bttech86" & "Isildur1"
On Monday, Viktor "Isildur1" Blom and Ben "Bttech86" Tollerene once again played some epic heads-up matches at Full Tilt Poker's nosebleed tables. The two high stakes pros began with three $200/$400 PLO tables and Blom was ahead with $290k after 1,5 hour of play. Tollerene then suggested that they should move on to the $500/$1000 tables instead and Blom accepted. 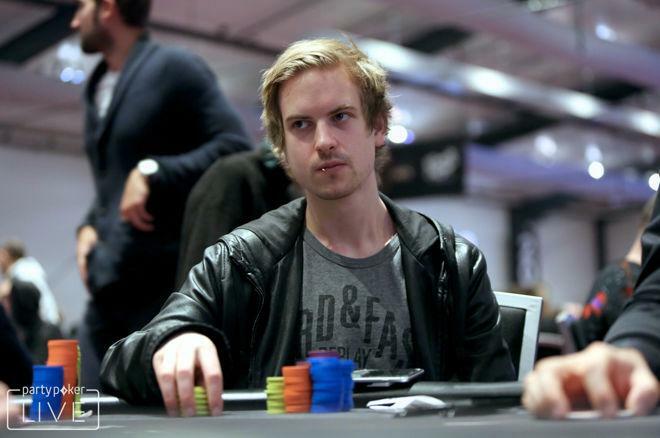 Read more » Swingy Heads-Up Match Between "Bttech86" & "Isildur1"
Last week we reported that Viktor "Isildur1" Blom was up over $4 million (the biggest winner of 2013) after taking Ben "Bttech86" Tollerene for $1.7 million in a 5 hours and 40 minutes heads up session at Full Tilt Poker. Things have changed a lot since then and he's now up "only" $2 million! The main reason to this huge drop is that Tollerene got his revenge on Blom. That's right! The two resumed their heads up battles on Friday and Saturday and it all ended with Blom losing about $1.5 million to the American poker pro. Russian poker pro Alexander "PostflopAction" Kostritsyn is now the biggest winner online of 2013 with $3,842,936 (735 sessions and 54,243 hands), Tollerene is the second biggest winner with $2,265,144 (386 sessions and 34,289 hands) and Blom is ranked third with $2,149,144 (1109 sessions and 112,671 hands). Posted on Friday, April 05, 2013 by "T". On thursday, Viktor "isildur1" Blom took on Ben "Bttech86" Tollerene at Full Tilt's $500/$1000 CAP PLO tables. After about 1 hour of play Blom had won $60k from Tollerene and they agreed to open 2 new tables. Blom's lead had increased to around $200,000 after 2 hours of play and, once again, the two decided to split and open up new tables. Blom went on a insane winning streak after this and it almost seemed like the poker gods sided with him in every single pot. After 5 hours and 40 minutes of heads up action, the two high stakes pros called it a day. Blom had won $1.7 million from Tollerene and, believe it or not, he had almost $1.1 million on one table alone. Blom is now (once again) the biggest winner online of 2013. 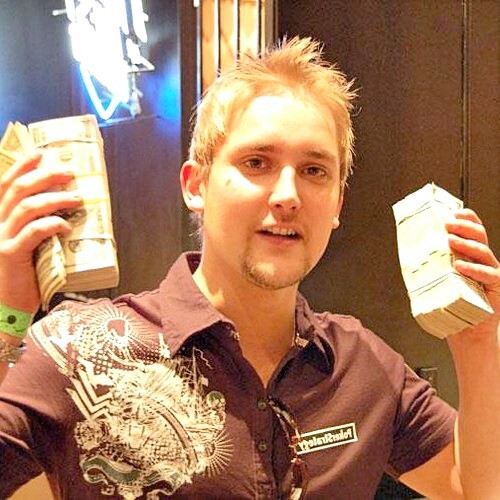 He has won $4,065,079 according to highstakesdb - about $200,000 more than the second biggest winner: "PostflopAction".